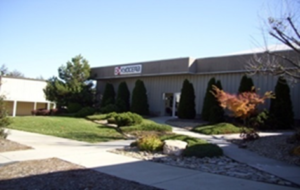 Hendersonville, NC – Kyocera International Inc’s Fine Ceramics Group (KII FC) recently expanded into the facility that formerly occupied by Kyocera Precision Tools, Inc (KPTI) located in Hendersonville, NC. In addition to their 175 current employees, they were able to hire 20 more employees impacted by the downsizing of the KPTI facility. KII FC is forecasted to add 15 new jobs over the next three years. Wages are expected to exceed $41,000 per year, higher than the current county average. Kyocera is experiencing significant growth of their machining business in the semiconductor market. Since its establishment in 1959, Kyocera has become the world leader in fine ceramics. Their Fine Ceramics Group focuses on components for industrial machinery, including semiconductor processing, LCD manufacturing and ultra-high vacuum applications, as well as metallized ceramics and sapphire substrates for LEDs. With the former KPTI building added, the Kyocera Fine Ceramics Group will bring their total manufacturing space to 130,000 square feet in Hendersonville. The company plans to invest $3.3M in real property through a 50,000 square foot expansion of their facility as well as an additional $4M in business personal property through the purchase of new machinery and equipment. “We are excited to see new growth within our company. Henderson County has proven to be a great location for our Fine Ceramics Group for many years, and we appreciate our strong partnership with Henderson County. We look forward to continuing our relationship and growing together with the County for many years to come,” stated Eddie Bingham, Plant Manager for KII FC North Carolina. For more information about Kyocera’s Fine Ceramics Group, please visit: https://americas.kyocera.com/kicc/. For more information on the Henderson County Partnership for Economic Development and its role in protecting and building a strong local economy, visit www.hcped.org .